TECHNICAL VIDEO - How AQURON 7000 removes Chlorides from Corrosion process? 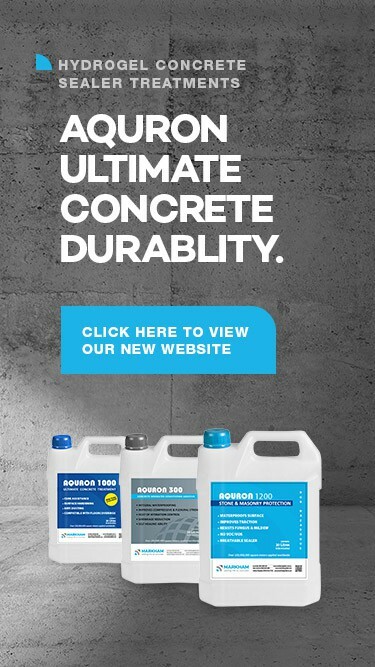 “Where moisture is unable to migrate into or within concrete, the common factor for deterioration is eliminated”. AQURON 7000 Corrosion Protection System is a 2-step economical and environmentally friendly treatment for protecting reinforced. AQURON’s unique catalyst causes AQURON 7000 Corrosion Protection System to consistently PENETRATE into both new and aged existing concrete, providing the surface is clean and any previous coatings are removed. AQURON 7000 Corrosion Protection System projects have been core sampled and tested “before and after” treatment and proved that the AQURON’s reaction has PENETRATED beyond 200mm from the surface to which the treatment was applied. The unique catalyst causes the reaction of the AQURON solutions to penetrate deeply into concrete whether applied from above or below. AQURON’s reliable penetration through the concrete is a distinctive feature of the treatment’s track record of arresting corrosion of reinforcing steel.